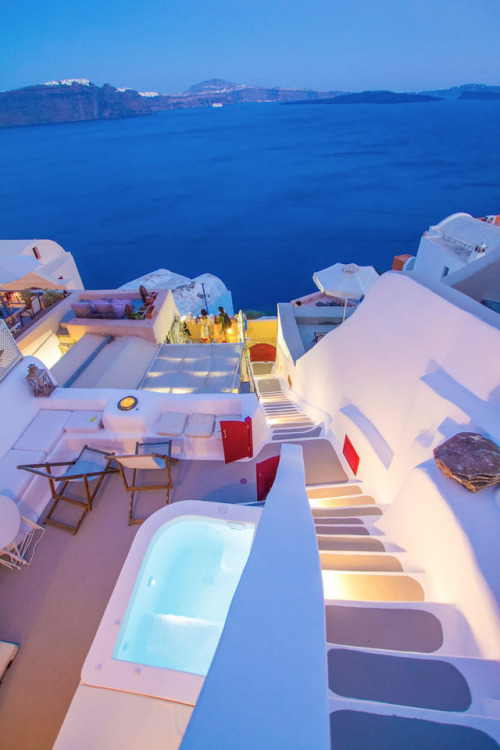 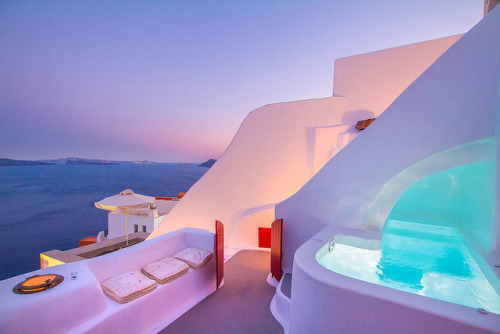 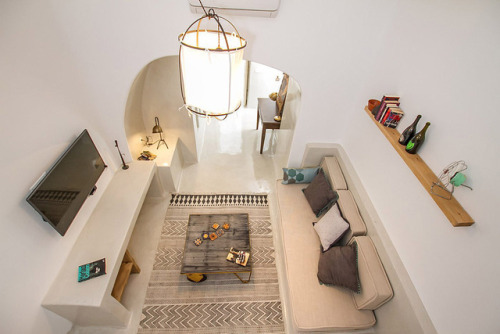 Carved into Oia’s caldera cliffs, this stunning Airbnb in Santorini is actually a converted 250-year-old cellar with mesmerizing views over the volcano and the ink blue sea. 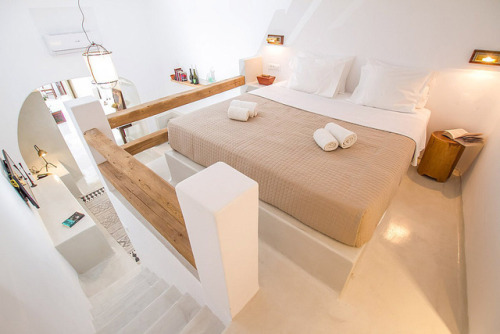 The family-owned retreat sleeps up to 5 guests and boasts a lovely private veranda complete with plunge pool for dining and sunbathing against the shimmering seascape backdrop. 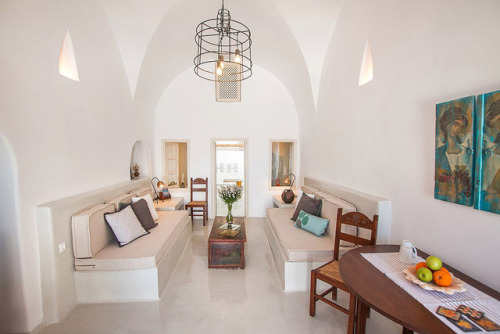 Inside the Hector Cave House, spotless whitewashed walls and traditional curved surfaces frame a stylish, minimal decor of soothing neutrals and timeless wooden furniture pieces. 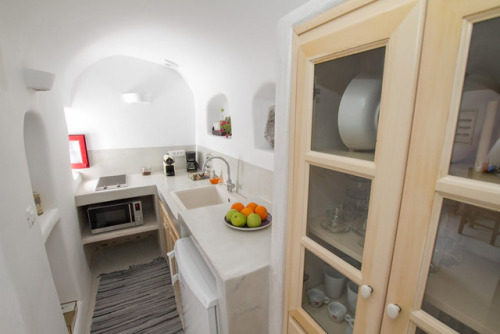 The style is decidedly Cycladic, with a hint of rustic romance and all the thoughtful little extras for your holiday – comfy built-in beds, fully equipped kitchen, Wi-Fi, flat-screen TV, and so on.